Every few weeks we head to New Zealand to do work for some of our most loyal clients. It is also an ideal opportunity every time, to find and profile inspiring Producers. New Zealand has many, as you probably already know. These people are examples of ingenuity, dedication, innovation and inspiration. If you've been following our journey, you will know that we get to live and work in two of the most beautiful places in the world: Canada and New Zealand. You would also know that we have some favourite pastimes: Beer, coffee, meat, food festivals, markets, and more. For me, chocolate is a passion. 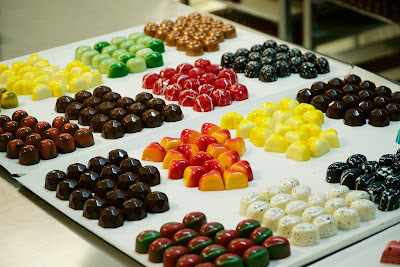 I like to seek out chocolate businesses like Otago Chocolate Company (OCHO). 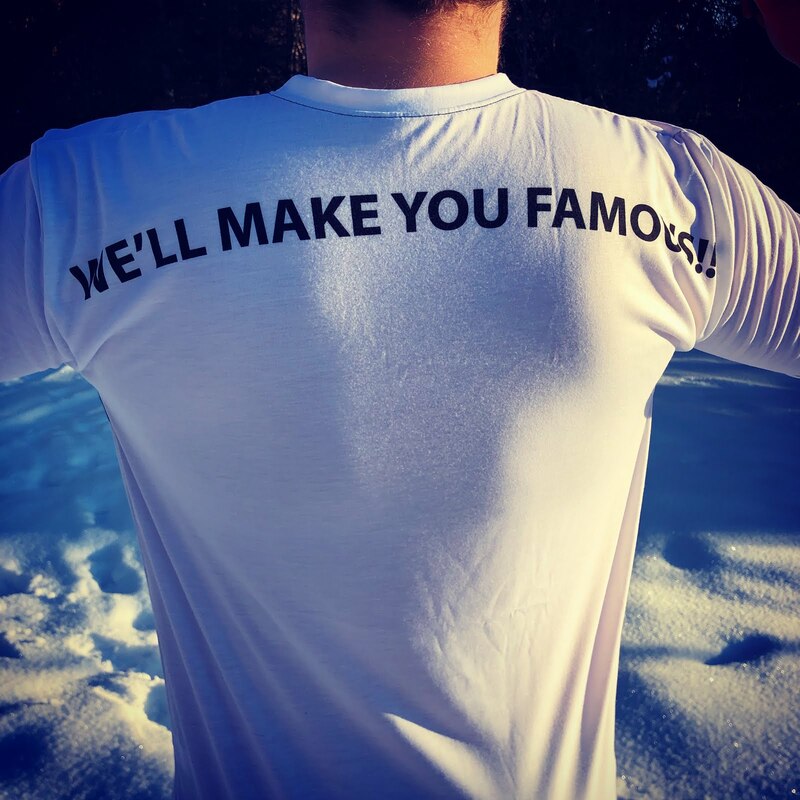 It is wonderful to meet the people behind the business and learn about their inspiration, passion, and motivation for doing what they love to do. 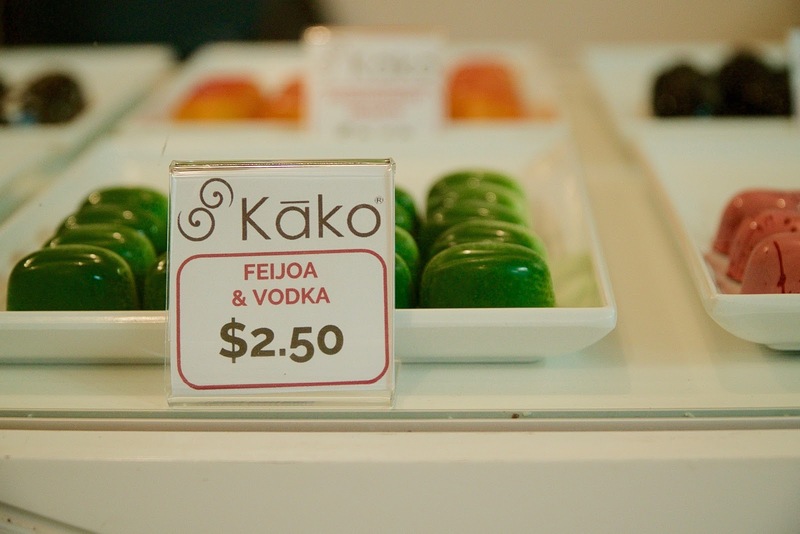 Whenever we make the trip to New Zealand, I have to look up Stu and his team at Kako Chocolate in Auckland. Stu is a fan of my Nougat. That is not why I visit him. He is also the person that introduced me to the world of a chocolatier. 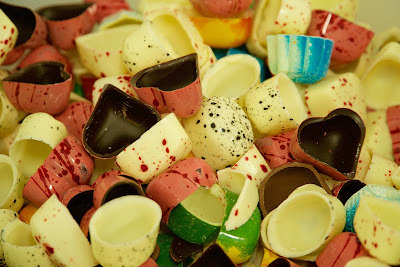 Thanks to his chocolate making classes I fell in love with flavour profiling and what Stu calls: "Chocolate Art". Where chocolate is my hobby, for Stu it is a vocation. In his words: "The world without chocolate, is the world I don't want to live in." In true Kiwi fashion, Stu and Kako are punching above their weight when compared to other similar businesses elsewhere in the world. At least, we've not met his equal (yet) in Western Canada. What is even more inspiring is to see how this amazing little business has grown over the last couple of years with outstanding and unique products, market reach, and their well-attended chocolate school, which recently celebrated its 2,000th attendee. Some will consider New Zealand already an overcrowded chocolate market, where companies like Cadbury's are running tail between legs thanks to iconic chocolate manufacturers like Whittaker's Chocolate dominating the market. However, as we all know in business: "Where there is competition, there is also quality." It is this relentless focus on quality and innovation that makes Kako such an interesting business to profile. If you've spent any time amongst chocolatiers, you will know that they are a tricky bunch. Recipes and processes are closely guarded. Suspicion reigns. I will even go as far as to call them a little prickly at times. It may be due to the precision and patience of the craft, or merely the unpredictability of cocoa butter crystallisation and sugar states that rubbed off. It is truly a mad science if you do it right. You have to be more than a little mad to make it a passion. However, chocolatiers are not as sensitive as chocolate makers. These people deserve a whole blog post to themselves. I've spent a fair bit of time with Stu at Kako, and two observations stand out. Instead of being the jealous, mad scientist that he can justifiably be, he stepped out of the stereotype by sharing his knowledge. His product is phenomenal, and he shares his knowledge freely through the Kako Chocolate School. In fact, one of his students in Edmonton supplied chocolate to a store in Canmore, Alberta, Canada. This is where I first came across Kako's colour techniques and tasted its unique flavour profiling. Seeing and tasting this chocolate moved me to research and looked up the company. Big was my surprise, to find them in little New Zealand of all places. It is safe to say that to learn what Stu can teach you will cost you thousands more with other much larger companies, and you will probably have to relocate to Belgium or Melbourne to get up-to-date technical training in this kind of chocolatiering (yes, I know this is a made-up word). Stu has lifted the bar on the craft of artisan chocolate, and he is training his competition. New Zealand is better off for it, and soon it will be the world (I will keep this development a secret for now). The second part of the profile that made an impression on me is that this is a person that decided to re-invent himself, and hasn't looked back since. From being an office worker, he decided to make something. Simple. He still continues on this journey, and the chocolate industry, New Zealand and his community of chocolate lovers are better off as a result. 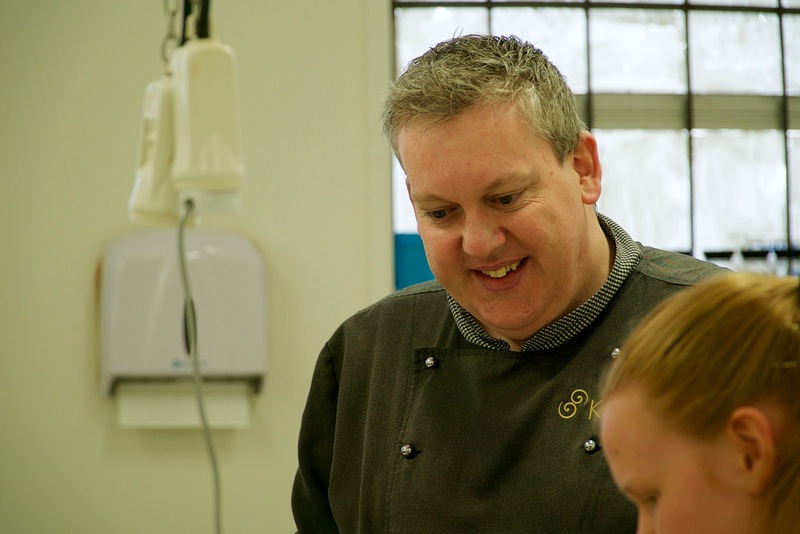 I am proud to know Stu and to be a graduate of Kako's Chocolate School. I hope there will be much more like me; that benefit from this inspiring little business, on a tiny Island in the South Pacific Ocean called: New Zealand. I can still remember the delicious smell from my younger days, of freshly baked bread early in the morning coming from the kitchen on the farm. There aren't many scents that stir up so many good memories as the sweet smell of steamy hot freshly baked white bread, the moment it comes out of the oven. Break it open. Let some butter melt in the snowy-white middle. When you bite into the crispy crust, you get that familiar feeling. The comfortable, at home, happy feeling you used to get when you were a little boy in your Mum or Nanna's kitchen. These were the days when department stores and Supermarkets we out of reach. When it was too far to zip in for the daily produce. Store bought bread didn't, or couldn't compete with that which freshly baked yeast and sourdough loaves delivered. Butter for your bread still came from cream that was skimmed off yesterday's milk. These were the good old days. Comfortable days. As you can tell, I love freshly baked bread. It is such a delicacy that in my home, we make it a point to bake our own bread for special occasions and family visits. If I cannot bake my own, then I have a secret go-to place for it in Canmore: JK Bakery. They still do it they way it used to be done. Nestled in the Canadian Rocky Mountains is a small Artisan Bakery that produces quality baked goods to its local residents, and to tourists from around the world. The ones that know the secret. You won't find them on the main street. Locals know where they are. In Canmore, we selfishly call them "our secret bakery". 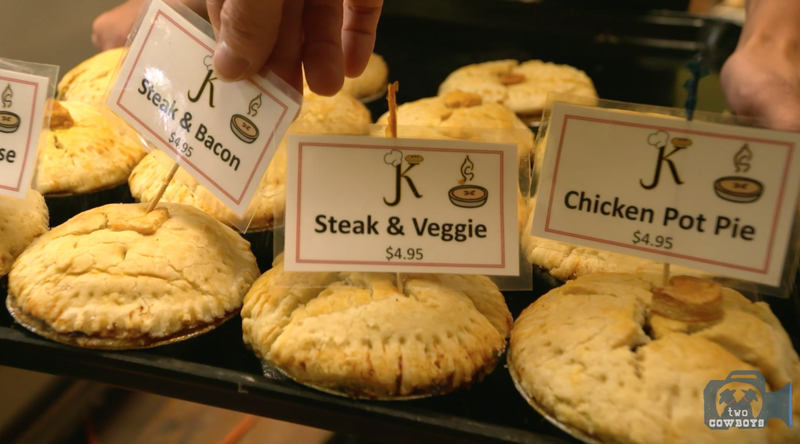 JK Bakery has been quietly operating in the town of Canmore since 1994. 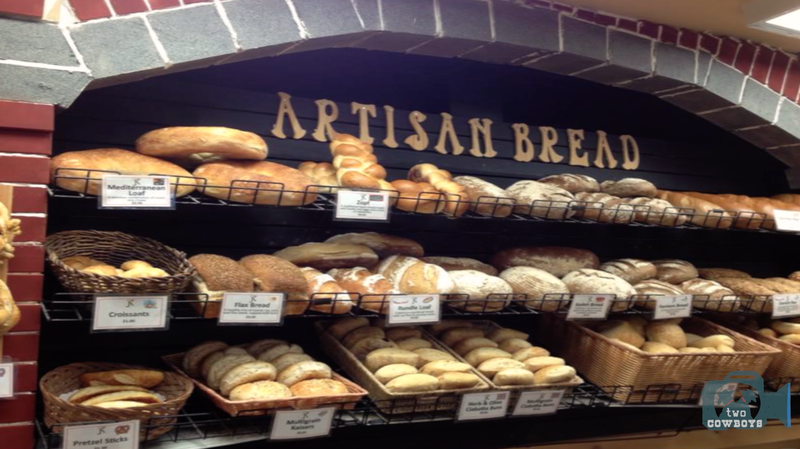 They provide wholesome bread and tasty treats to retail and wholesale customers throughout the Bow Valley. JK Cafe, the face of JK Bakery has been operating from their Railway Avenue location since 1999. It is the place for a coffee, pie, cup of soup, great pastries and our favourite varieties of freshly baked bread. A meeting place for the locals. As with all good artisan bakeries, you have to be there early or risk disappointment. The ciabattas come out of the oven at 02:00. Doors open early around 07:30. They keep things simple. In their bread you will find deluxe bread flour milled from the best grain Southern Alberta has to offer. Pure Rocky Mountain water, salt and yeast are the only other ingredients for the majority of what they make. Some of their doughs still need to rest for a full day before it is divided and shaped for baking. JK's bread don’t have the additives and preservatives used by most commercial bakeries for extending shelf life. They don't need it. It doesn't need to last that long. Because it is that delicious, you wouldn't want to leave it lying anyway. It gives you an excuse to visit often. 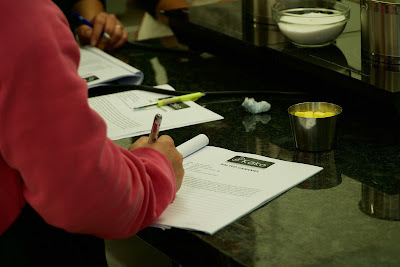 If you want to learn about baking, you have to be where it happens. You have to be there when it happens. The Two Cowboys reported for duty at 23:30 with the baking crew already well into the night shift. Mike, the head baker and his colleague quickly inducted us into the go-go-go world of midnight baking. He didn't spare us any advice or comment about his continued motivation and colourful career being a baker. We listened intently to his adventures and stories. What a life. What he does may be considered by many as a dying art. He is one of a handful of "old school" makers. It is amazing to observe how he knows just what to touch, how much to use, how the dough should feel, and what it should sound like when it mixes. And then there is the glorious smell to make the midnight hours go by quickly. 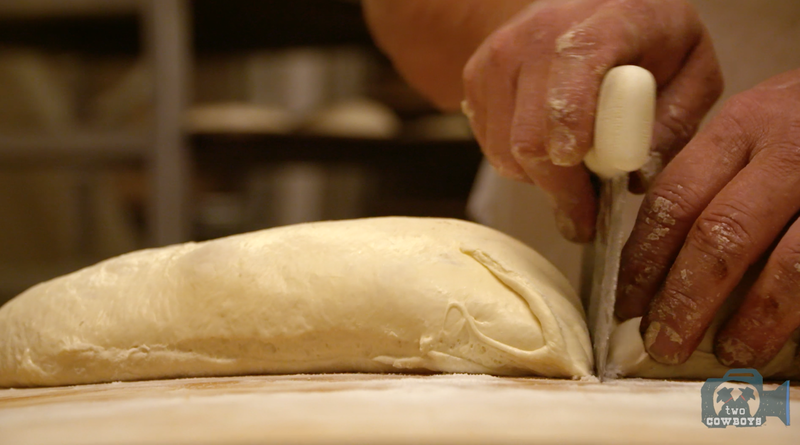 When it all aligns and come together, you get that glorious smell of freshly baked bread. Good morning! Dough flew, ovens hissed, buns rolled, and before we knew it the ciabattas were ready to come out of the oven. Wow! Is all we could say. What a taste experience it is to get a ciabatta fresh out of the oven. You have to try it. By 07:30 it is still perfect. Just not as perfect as the moment it came out of the oven. If there was a way to get it at 02:00 we will be up all night, ready and waiting for our share. One piece of extraordinary equipment caught our attention. It seems to be the single most important item in the whole bakery. It shows its age: The baker's scale. Everything that passes through the baking processes, somehow makes a pass on the scale. Sometimes, several times over. Firstly as ingredients are measured, and then as the dough is cut and weighed into the right sizes for the different kinds of bread. We are convinced that JK Bakery has one of the original models. I think it dates from the late last century. Definitely from before batteries were invented. Angie (co-owner) rightly informed us that the day she retires, she will take one item with her. The scale. 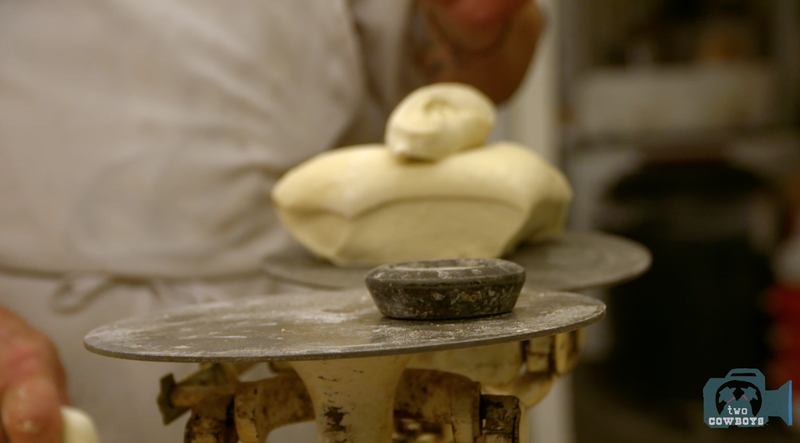 It is the heart and soul of the bakery. Maybe it is the one thing she should leave behind rather. Something to inspire new bakers to continue the trade. 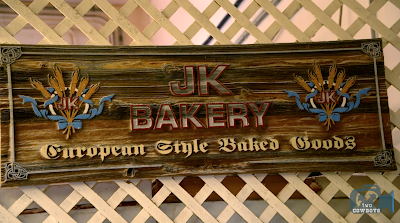 Thank you, Samantha, Angie and the crew of JK Bakery for taking us into the heart of a traditional bakery. Nowadays we call it Artisan Bakeries. There was a time when it was just called The Bakery, and every town had at least one. We enjoyed our ciabattas, and we continue to enjoy your bread and pies. 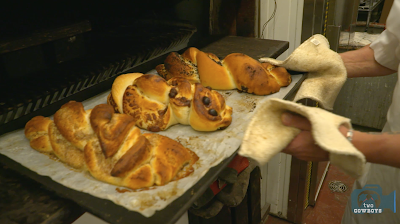 Thank you for baking our bread in Canmore, Alberta the old school way. The good way. We are sorry, the secret has to come out now. 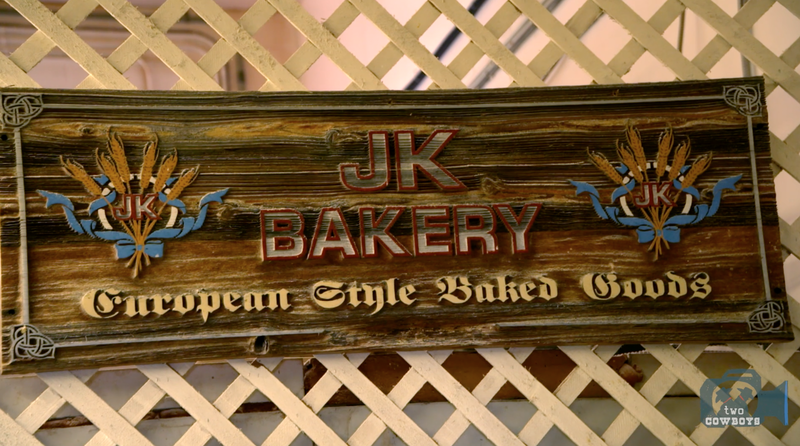 The whole world will soon know just how good it is to get bread at JK Bakery.